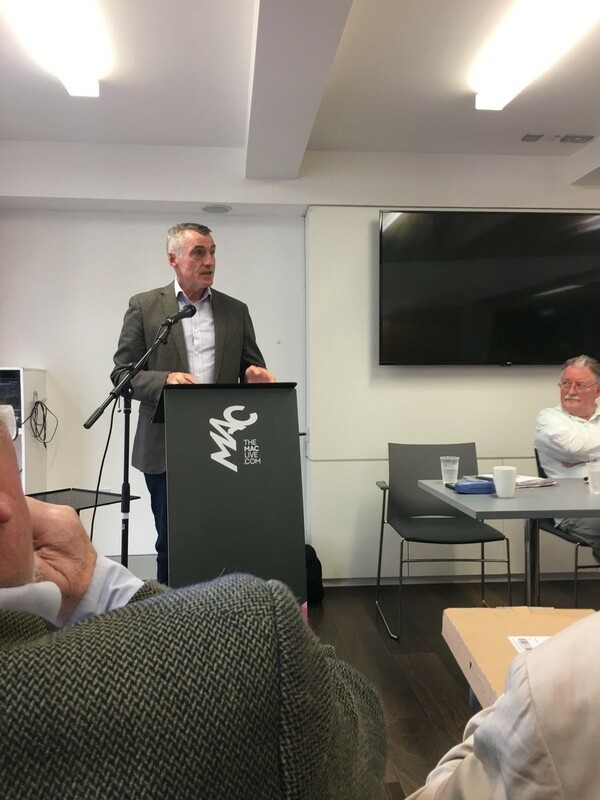 Last weekend the Irish Congress of Trades Unions (ICTU) and Irish Labour History Society organised a conference to commemorate William Walker in Belfast. 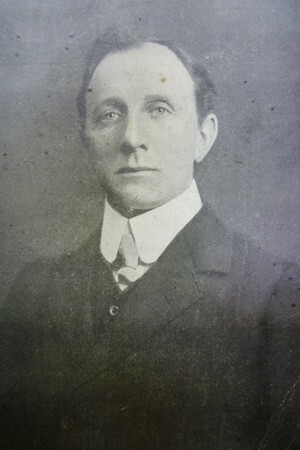 Walker was an anti-Home Rule unionist who was a leader in the Belfast Independent Labour Party (ILP) in the early twentieth century. 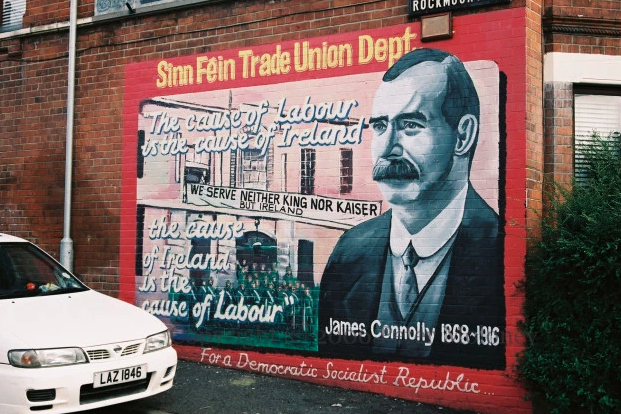 When James Connolly, Ireland's most significant historical, socialist republican leader called on the ILP's membership to support socialist unity in Ireland, his appeal provoked a rebuke from Walker. This led to a robust debate between both figures in the pages of 'Forward' between May and July 1911. Their debate came to be known as the Connolly/Walker controversy and later became an historical reference point for the anti-imperialist struggle in Ireland. I participated in a panel alongside veteran trade unionist Joe Bowers, Ulster Unionist councillor Chris Mc Gimpsey, and ICTU Assistant General Secretary, Owen Reidy, to discuss the 'post Walker' years and the current situation in the north. Not surprisingly we delivered four very different perspectives on Walker and his legacy; as well as, Brexit; the north; strategy and politics on the Left; and, future prospects. A very challenging but fraternal debate ensued between the panellists and the audience. I opened my comments by saying that any consideration today of William Walker’s legacy needs to be within the historic and contemporary reality that the advancement of socialist and Labour politics has been held back due to the effects of British colonial policy in Ireland. He was a product of his native Belfast and directly influenced by the communal environment within which he grew up. He was a protestant in a largely protestant workforce. Sectarianism in the late 1800s and early 1900s stalked Belfast. While Walker was severely limited in his political analysis he was committed to improving the conditions of his fellow workers. He is an integral part of Belfast’s industrial history and his contribution to the city’s labour heritage deserves recognition. British policy in Ireland and its consequences for Irish society has divided Irish workers along communal lines. It has paralysed the labour movement from effectively challenging partition and championing the strategic aim of Irish unity. Partition is the central fault line at the heart of Irish society and politics. Sectarianism remains a visceral blight in this state. Following partition, it was used by the ruling unionist elite to cement the foundation of the state and prevent unity among citizens on issues of common concern. The fact is Labour was indeed told to wait as the resurgent struggle for national independence grew in momentum just over 100 years ago. The counter revolution which took place post partition represented a strategic setback for labour and working-class interests in the new free state. It eclipsed the seminal influence which socialist republicanism had on the 1916 Proclamation and the Democratic Programme of the First Dáil. The rights of workers became subservient to the conservative elites, north and south. However, sections of the labour movement were compliant with British policy in Ireland and the imposition of partition. That was personified in the political thinking of Walker and others pre partition. This tendency opposed Connolly's core position that "the two currents of revolutionary thought in Ireland, the socialist and the national, were not antagonistic but complementary". Walker's debate with Connolly reflected a key contradiction inherent in the Irish labour movement and its relationship with the Irish national liberation struggle, and anti-imperialism generally. That contradiction has existed ever since. Walker's brand of ‘Municipal Socialism’ was in reality a euphemism for self-imposed strategic and political limitations which went on to define the Trade Union movement in the north. As a result, the Irish labour movement, particularly in the north has failed to challenge partition and modern British political policy towards Ireland. Partition has been an abject failure. It was never designed to make the northern state a political or economic success. From the beginning this state has carried within it the conditions of inherent instability. It was built upon institutionalised and structural sectarianism which ensured that a substantial minority was destined never to be treated as equals. The Civil Rights Movement fifty years ago exposed the inability of the unionist state to treat the minority as equals. That belligerent opposition from powerful sections within political unionism against reform of the northern state persists today in the form of political unionism, and specifically DUP hostility towards implementation of the Good Friday Agreement (GFA) since 1998. Refusal by the DUP to embrace a rights-based society and equality, culminated in the collapse of the GFA political institutions in January 2017, and our associated political crisis which has continued since then. Those currently in charge of the DUP have turned away from power-sharing. The party brand is now indistinguishable from financial scandal and sharp practice in government. As a party, the DUP is permanently in conflict with all accepted democratic reforms, social modernity, and standards in public office. Its project is negative and tactical, and entirely focused upon slowing down and blocking progressive change, while maintaining a sectarian hegemony within the unionist constituency. The DUP is in denial about how society in Ireland views its sectarian, homophobic and toxic pact with the Tories. The overwhelming majority of republicans, nationalists and many others, including sections of civic unionism, have concluded that the DUP has had its chance and cannot now be trusted in government. They will not be giving the DUP permission to get back into power at the risk of allowing it to continue practicing discrimination, intimidation, bigotry, or sharp practice. The enduring political crisis is accentuated by systemic structural weaknesses in the regional economy. The required investment in local public services and protection of workers’ rights are confronted with a combination of Tory austerity and Brexit. Pressures on public services are intensifying. The regional block grant, or public expenditure settlement, has been reduced by 10.2%. Average wages in the north remain lower than ten years ago. Precarious working conditions, zero hours’ contracts, and the scam of bogus self-employment used by some employers are in common practice. Workers’ rights and protections are being systematically reversed. It will deepen an existing race to the bottom by further undermining the potential for economic growth, and new investment. The Brexit agenda, twinned with Tory austerity threaten jobs across all economic sectors, workers’ terms and conditions, and, any potential for sustainable public services in the north. The dawning political and economic reality is that Brexit has changed everything. It has exposed the negative role that partition continues to play in Irish affairs, and the fundamentally anti-democratic nature of the union with Britain. The British state has been pushed into an unprecedented, existential political crisis. Brexit is a train wreck being jointly steered by the DUP and extremists in the British Tory party. But it also has become a defining moment for these islands. There has been a seismic shift in the ambitions and expectations of citizens in the north. The debate on Irish unity and the timing of a unity referendum have moved centre stage. The time has come for a fundamental paradigm shift in British government policy towards Ireland. The Irish government needs to begin preparing constitutional, political and economic transition towards Irish Unity. It should facilitate an open, inclusive national conversation involving all citizens, political parties, social partners, and civic society. That is a dialogue about our collective future on this island which addresses all the concerns, accommodations and compromises relevant to negotiating a new, all Ireland, constitutional, pluralist democracy. Today this new focus upon Irish unity provides Irish trade unionists and workers with an opportunity to influence the debate about future constitutional and political change. Previous moments of political change have required that labour should wait. The emerging challenge for the Irish labour movement north and south is to engage with this emerging discussion. 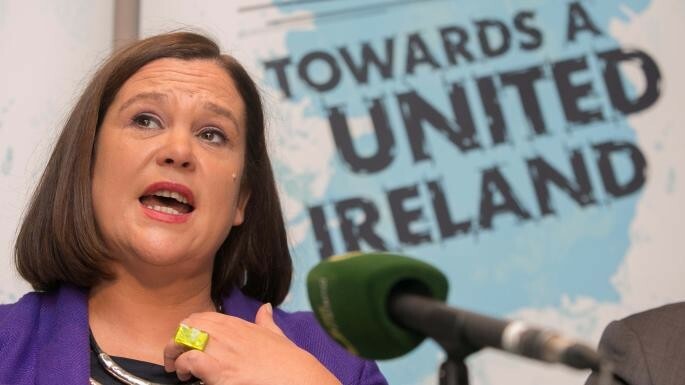 The labour movement will only successfully put its mark on the Irish unity debate by arguing for the primacy of economic democracy, and the case for a rights-based society in a new Ireland. I said to the Belfast conference this reality will require Irish trade unionists to take strategic positions on supporting an Irish unity referendum and then to campaign positively for constitutional change. On Monday of this week I reiterated that opinion when I met Patricia King, General Secretary of ICTU in Dublin. Of course, this will be a challenging discussion for the Irish labour movement, as comrades noted both during and after the plenary discussion. But it should not be feared or avoided. The status quo has failed us all. Connolly’s vision of a united Ireland which serves the interests of the many instead of the few will not be wished into existence. Labour should not wait again. 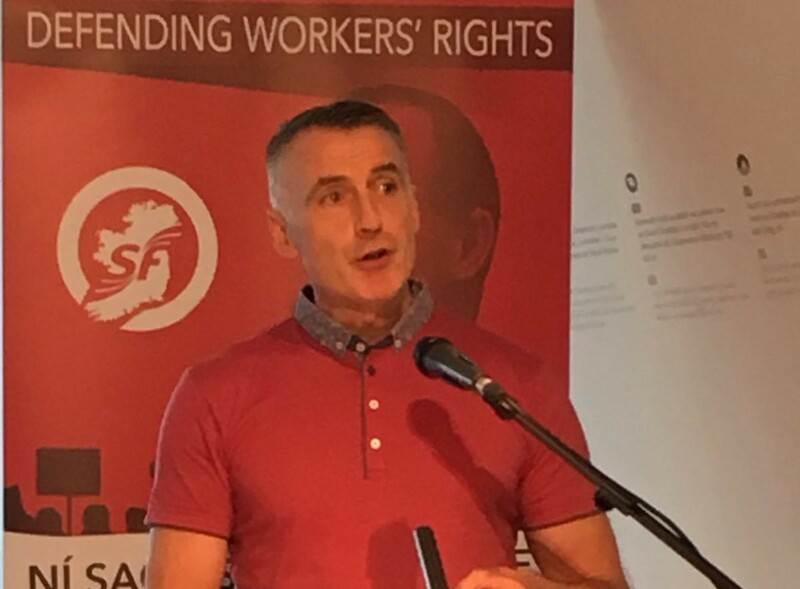 The Irish labour movement needs to assert itself on the Irish unity debate by introducing a progressive labour agenda to the unfolding discourse on future constitutional and political change.